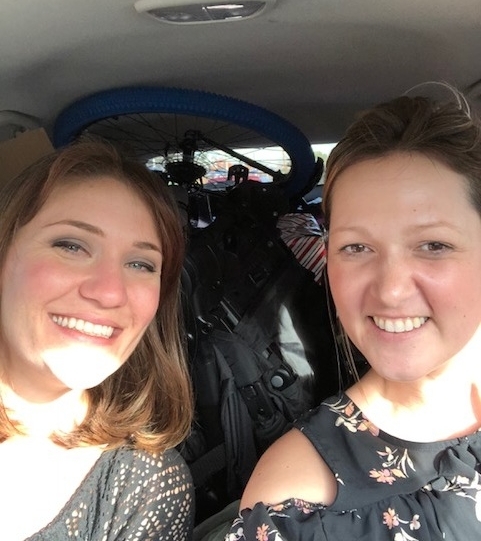 We have connected with Crisis House each year to match us with a family in need. This year we had a family of four with two children. Their wish list was quite simple; blankets, coats, pajamas, a few toys, and a bike for each child. We also provided school clothes and gift cards. Crisis House provides humanitarian services to citizens who are socioeconomically disadvantaged or in crisis with a focus on serving those residing in the East region of San Diego County. They struggle daily to overcome complex and challenging circumstances, including abuse, addiction, health conditions, and a lack of access to food and housing. They help people of all races, ethnicities and ages, including those who are physically and mentally challenged. Crisis House is their helping hand. Crisis House is the only community Resource Center in El Cajon that responds to people who are experiencing homelessness and other disenfranchised individuals and families who call or walk-in. Moreover, Crisis House responds immediately to connect people to services that can help resolve life-endangering situations so they can renew their lives. 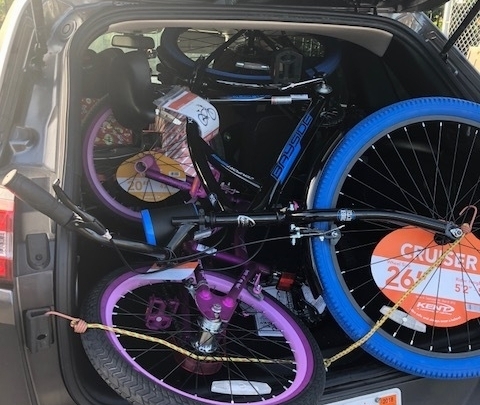 After all the gifts were dropped off and the money was donated, Melissa and I ran over to Wal Mart in La Mesa to pick up the two bikes, a few more gifts, and the gift cards. We must have been quite the sight in that parking lot, loading the bikes, because not one, but two people stopped and asked if we needed help. I haven't laughed that hard in a long time. A sweet gentleman saved the day by giving us a bungee cord. In full disclosure, the picture above is not how we left the bungee. We made it safe to Crisis House to deliver the gifts where the family can pick them up anonymously. We hope the gifts light up the faces of those kids on Christmas morning, and that the single mother rests a little easier this year.